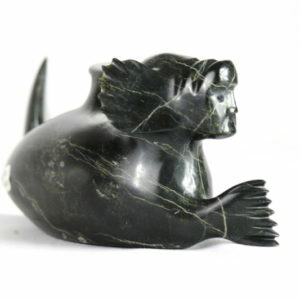 This is a gorgeous carving by Johnny Luuku, an Inuit artist from Ivujuvik. 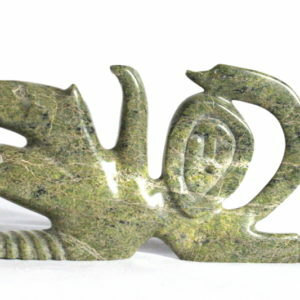 The bird is carved from a lovely light green stone, which is perched on a darker base. The composition of the piece captures the curious nature of the creature. A wonderful carving to add to your collection.